John Fife: Road - Alternative Scorpio? The Ford Mondeo was never what you would call a ‘looker’ although it was pretty smart. It was more Len Goodman than Bruno Tonioli, but Ford have introduced a new concept at this week’s Frankfurt Show in Germanland with which they hope to put a luxury gloss on their saloon car range. Called the Vignale, this new trim level will benefit from more luxurious upholstery inside the car, more bling on the outside and more electronics to make life easier for those on the move. 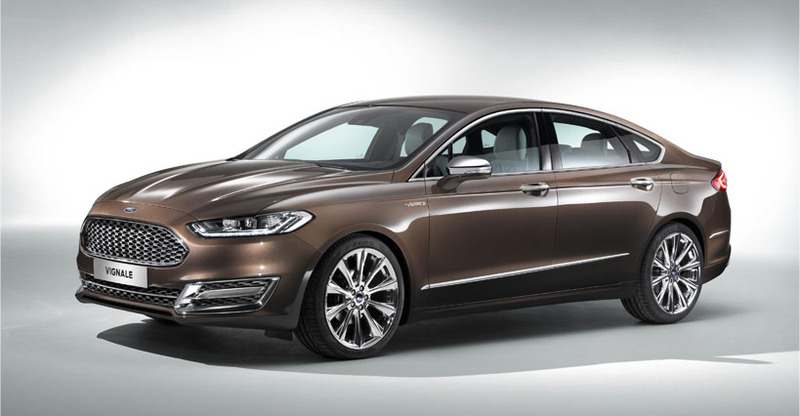 The Mondeo Vignale Concept at the show has 20-inch alloy wheels with additional chrome detailing, a unique front bumper and grille, and an exclusive ‘Nocciola’ paint colour, just to whet the appetite.